In case you didn’t know about three weeks ago my hubby’s retina decided to detach itself. So after two surgeries, one laser procedure and over two and a half weeks spent laying on his left side on the sofa he’s finally returning to normal life. During this time he missed EVERYTHING! He missed school, practices and most importantly volleyball games. Eeek! So to thank all the girls on the team for the continued hard work, well wishes and delicious gift basket, he got them each a special treat. 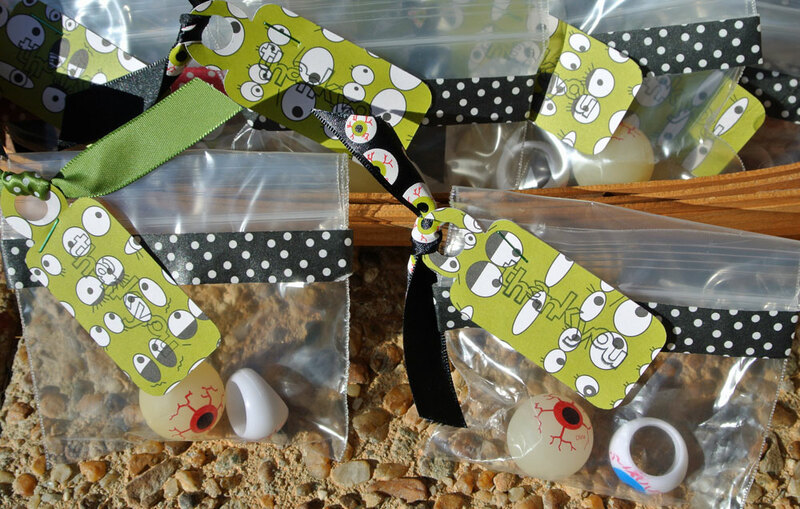 Yes, those are bouncy eyeballs and eyeball rings! And yes, my hubby is quite the funny guy. To help continue the eye theme I used the fabulous Jillibean Soup Cup of Eyeball paper a friend sent me for the tags and some eyeball ribbon. Somehow I think the girls will appreciate the gifts. They were the ones who started with sending the eye patches and cyclops name calling. Ha! Turned out cute! 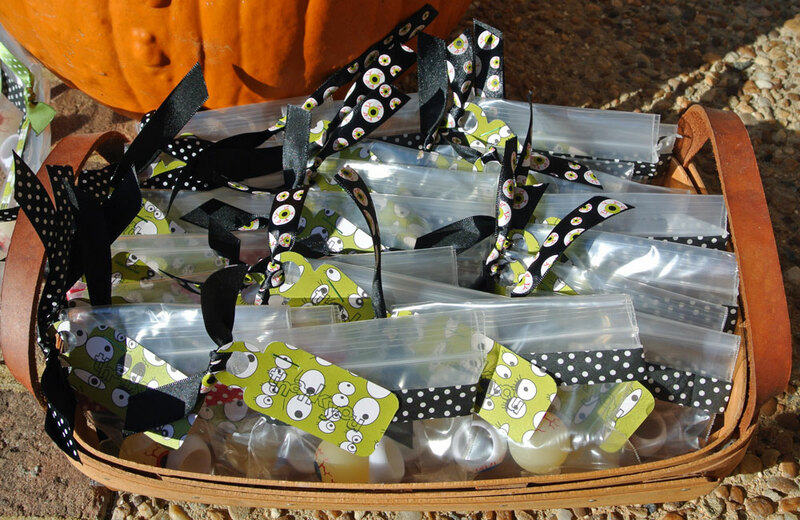 Funny part of this post… There was a LASIK Eye surgery advertisement attached to this post! Too funny! Eye think they will like it! Very cute Sara. So glad hubby is doing better. What a fun and creative ‘thank you’!! I know the team was thrilled, not only to know he is doing well, but with the awesome goodies, too! I am so glad the hubby is healing.